I am a huge candle lover – I find them relaxing and I love burning them! 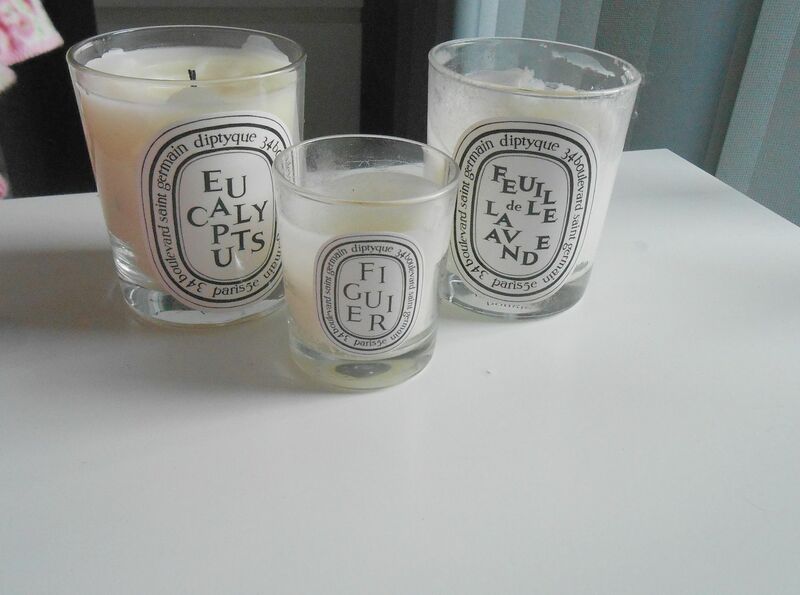 Within the candle world the Diptyque are the Rolls Royce of the candle world… They are extortionate, but they burn beautifully and the smell lasts so well. When I burn one in my bedroom I smell it in my whole flat. I love how they look, although I always sound like an idiot trying to pronounce them & they are hard to read! For last Christmas my mum gave me the Feuille de Lavande one. I absolutely love the smell of lavender, it’s so relaxing. I burn this at bed time when I’m getting ready or reading my book in bed. I’ve got just under half of this left, and I’ve been burning it since Christmas. It smells so amazing, not like artificial lavender but it’s like you’re in a real field of lavender… mmm, so good. The newest one in my collection is the Eucalyptus one – it’s a new scent. I got this to burn at my desk whilst I’m studying as I find the smell really uplifting – what I need when I’m gunning through some ancient history books… This smells really strong, it smells really good even when I’m not burning it! MAC Cranberry & 2 ways to wear it!